Actors have wanted to be rock stars since the dawn of the 20th century. Back then, it was common for actors to be triple threats – with the ability to dance, act and sing. But now, fewer and fewer actors can successfully pull this hat trick off. It’s also trickier for actors to try their hand at music than it is for rockers to appear in movies. For every musician who crosses over into the acting world (Will Smith, Janet Jackson), there seem to be at least three actors who release unintentionally bad albums. To make this list, the actor’s album has to have faded from public memory – if it was ever memorable at all, that is. This means efforts from people like Bruce Willis (who scored hits with his blues-based persona, Bruno) and hilariously off-key singles like Eddie Murphy’s “Party All the Time” did not make the cut. Before Steven Seagal moved to Moscow to be Vladimir Putin’s pet, and before he spent time in the desert pretending to play Sheriff, Seagal was an actor of limited skill who decided to dabble in an area where he had even less skill: music. Songs from the Crystal Cave is a vanity project which finds Seagal on the cover staring “soulfully” while embracing his guitar. He played most of the instruments on the album, and described its style as “outsider country-meets-world music-meets-Aikido.” In other words, it’s something unbearable for human ears. Scarlett Johansson has managed to remain a star for over a decade despite notable bombs like Ghost World and quick and forgettable turn as a musician. Johansson’s album is all about how much she loves Tom Waits. Seriously, he contributed for songs for the album, and two more written with his wife. Johansson received mixed reviews for the album, with some even praising her as soulful. It’s been 9 years since Anywhere I Lay My Head was released and in that time, Johansson became Black Widow, obviating the need to ever release a sophomore effort. No one ever needs more Seth MacFarlane in their lives, especially if he’s not speaking from behind one of his animated creations. Fresh off his smarmy, smirky performance as host of the Academy Awards, MacFarlane allegedly declared himself a triple threat with this album. The bloated, indulgent record features a 65-piece orchestra all designed to make the dude who plays Stewie look like a credible interpreter of the Great American Songbook. Can you tell I hated this album? I hated this album. Clint Eastwood is an actor, director, mayor, old cranky Republican, narrator of Ford commercials, and composer of instrumental music from his later movies like Gran Torino. His efforts at orchestral music are generally well regarded, but you’ll have to turn the clock all the way back to 1963 to find Clint singing. 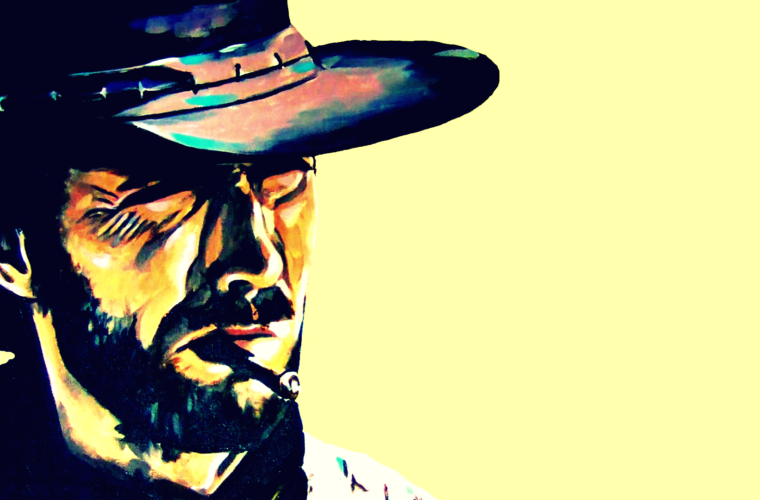 The Eastwood of this era was a young, angry man who had yet to find superstardom in the movies. He was famous for being on CBS’ Rawhide, so CBS Records thought they could milk a little bit more of that show’s success by letting the young guy make a goofy album of cowboy songs. Little did they know that Eastwood’s TV career would be but a footnote in a lifetime of much bigger projects, while his album would be thrown in the dustbin of history. Until now. You can thank me later. Wrestlers are accustomed to doing everything – they act, they shout, they sing, and they bodyslam other people into the canvas for pay. We had heard “Macho Man” Randy Savage sing over the years, but nothing could prepare us for the album Be A Man, which turns Macho Man into a rapper. Rather than his signature screams, Savage tries to growl softly over Casio-inspired backbeats, starting rap wars with Hulk Hogan and beginning his tribute to late friend Curt Hennig by literally intoning over the track “this one goes out to my real close buddy and friend, Curt Hennig,” just in case you couldn’t figure that out from the lyrics. That Randy Savage, always being thoughtful!